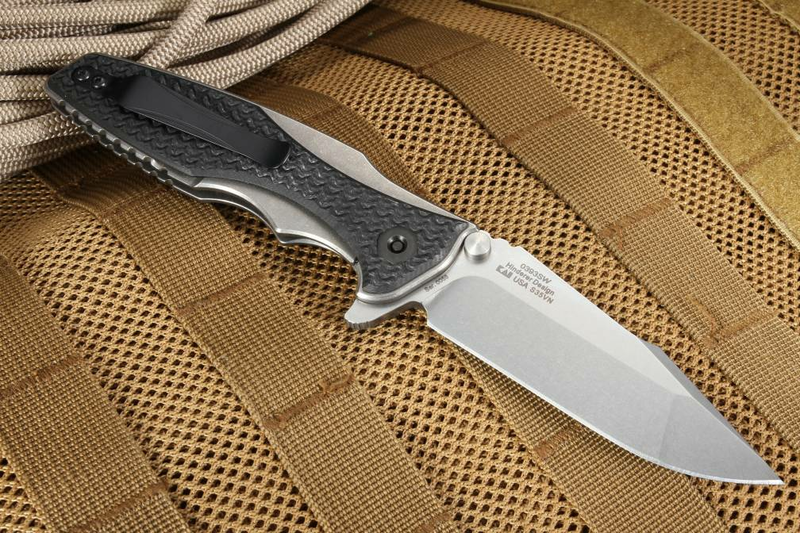 The Zero Tolerance 0393SW is a special stone washed blade sprit run edition of the extremely popular ZT 0393 folding knife. 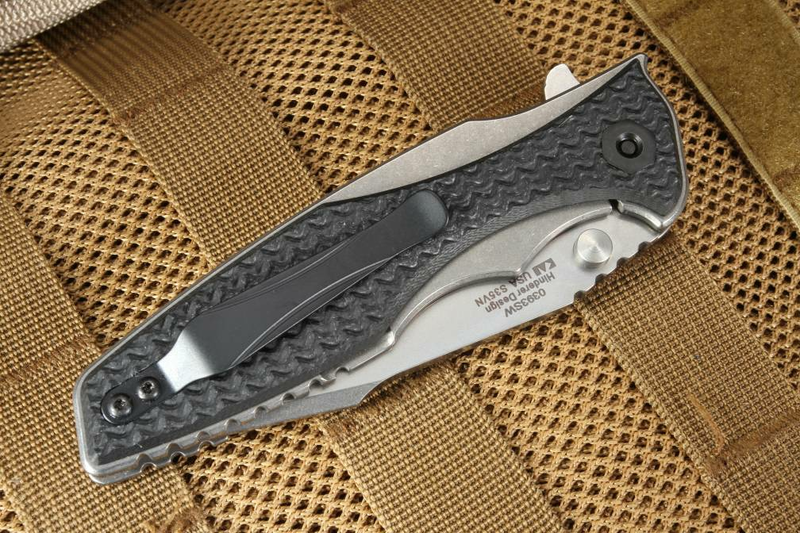 This American-made flipper folding knife goes beyond the call of duty with a world-renowned knife maker and designer Rick Hinderer design that is hard to beat, comfortable to use and extremely durable. 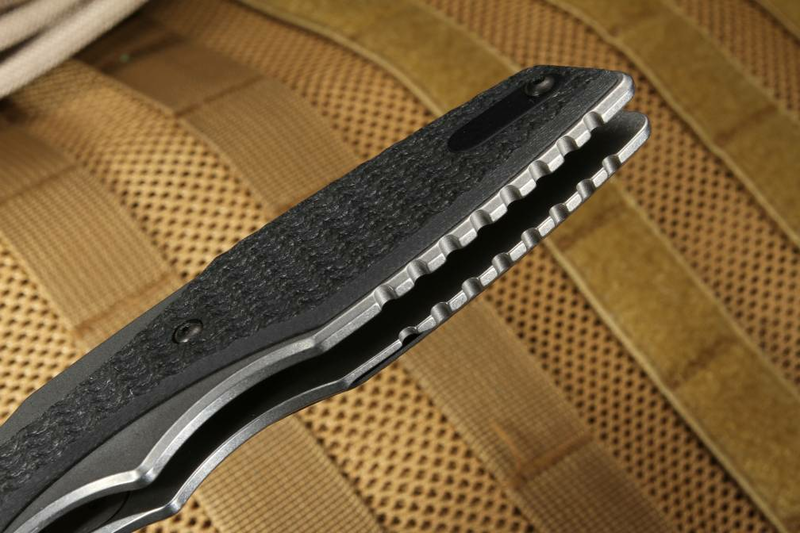 The merger of two of the world's best knife makers combines award-winning precision blade making with the finest design for the best all-purpose tactical folding blades you can get for everyday use. This harpoon spanto style knife is American made with extremely high manufacturing tolerances and the high quality S35VN steel blade for edge retention, strength and a Rockwell hardness of 60-62. 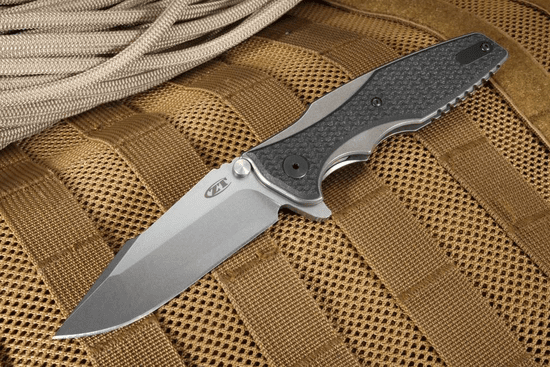 The 3.5" stainless CPM S35-VN blade has ambidextrous dual thumb studs and a flipper for easy opening with either hand plus features a KVT ball bearing pivot for a fast and efficient opening. The flipper acts as a finger guard when the knife is open and jimping on the thumb rest makes this knife not only quick to open but safer to use. 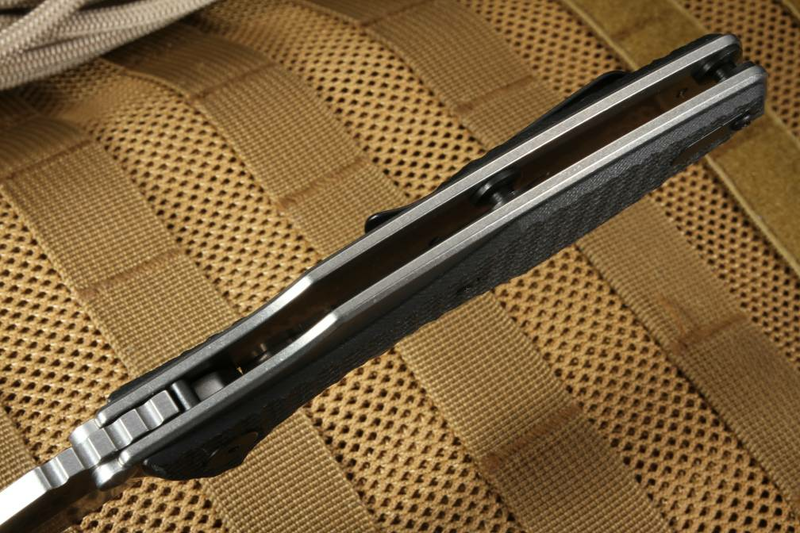 The open length of the Zero Tolerance 0393 is 8.25" with a weight of 5 oz., which includes the comfortable and durable stonewashed Titanium 4.75" handle with Black G-10 Overlay. 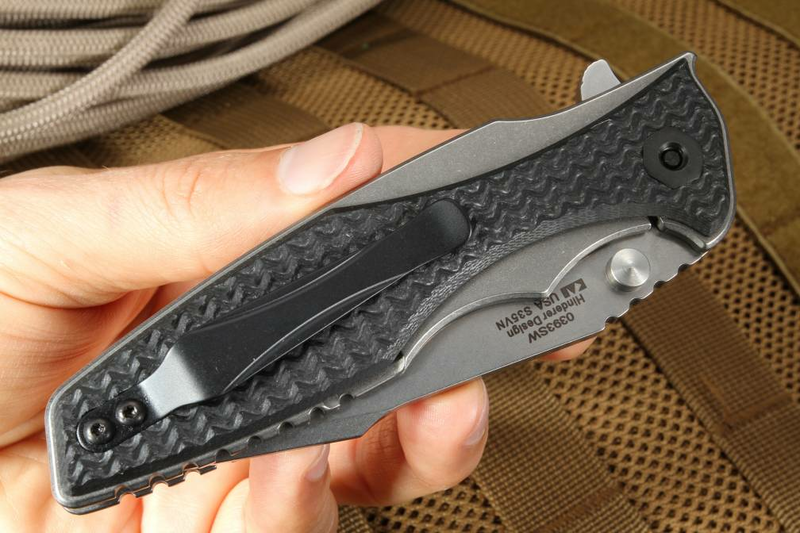 A Black coated pocket clip is easily mounted for right or left pocket carry and stores the knife blade tip up for safekeeping. 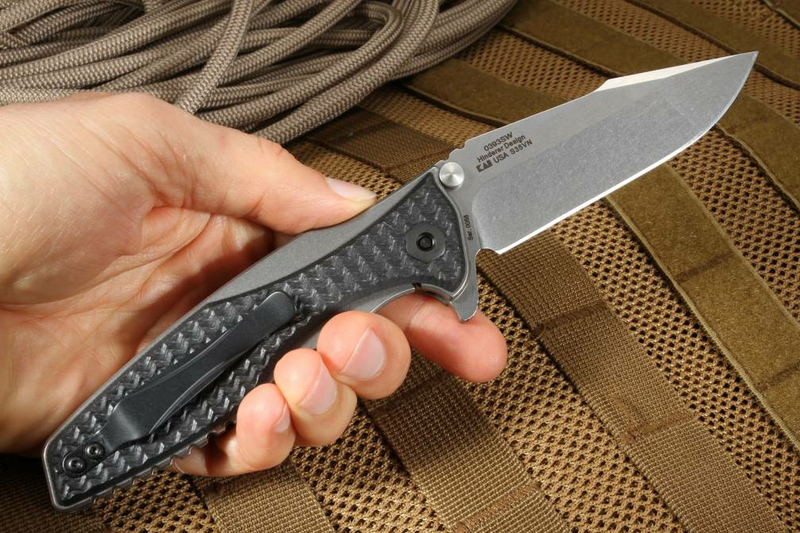 The knife allows for customization by accepting Hinderer's Maximus custom hardware. 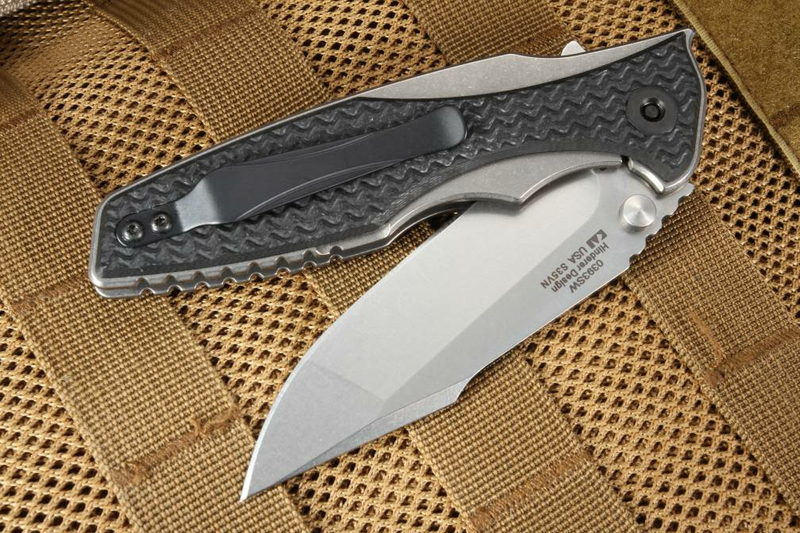 At Knife Art, an authorized dealer of Zero Tolerance blades, you can count on the best customer service, free same day shipping, and no restocking fees. We carry only the highest quality of hand-selected elite brand knives and precision gear money can buy at the best prices. Great color that matches my SIG Spartan Bronze 45 acp. Super fast shipping, Excellent service, Highly recommended company! The service and delivery was good and prompt. 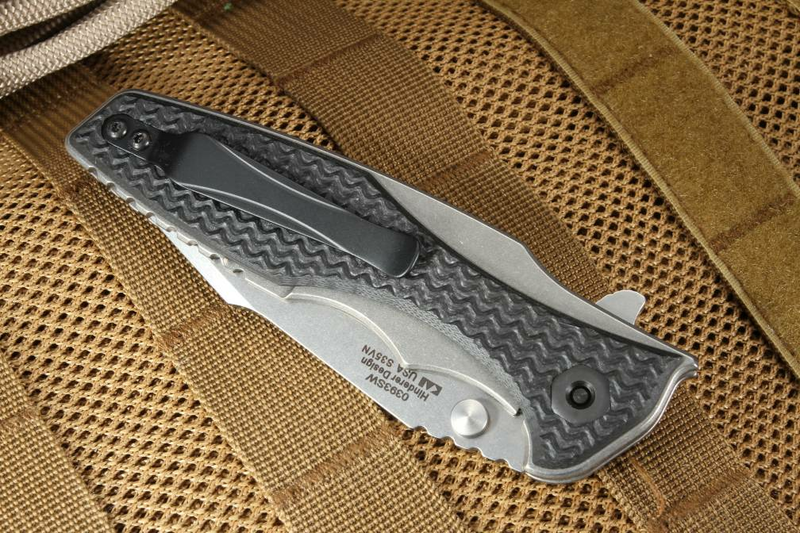 The knife flips well and the fit and finish is good to excellent. I'm very happy with the purchase and will purchase more knives here in the future.